Saturday is always the biggest day of the UFO Congress, the day of the largest attendance, when the best-known speakers are scheduled to speak. The first speaker of the day was Suzy Hansen from New Zealand, "Experiencer/Author/Researcher." The title of her talk was "Alien Technology – the ‘New Physics’ of Consciousness and Intelligent Light" (whatever that is supposed to mean). Synopsis: "Suzy Hansen’s book outlines complex alien programs to assist and advance human evolution, and prepare us for future contact. Part of this agenda involves training and testing humans in the use of advanced alien technology that has the power to radically change our future medical, educational, environmental and societal norms. Is a global evolution of spirituality and consciousness a necessary pre-requisite for such technology? Since childhood, Suzy has been able to describe such technology she has observed and used onboard craft. In the last ten years, similar technology in less sophisticated forms has emerged in our own world. Suzy presents rare and irrefutable corroborative evidence of specific ‘conscious’ technology provided by other experiencers/abductees." I found her talk to be tedious and highly emotional. But the audience loved it, and gave her a standing ovation. Next was Stephen Bassett, "the executive director of Paradigm Research Group (PRG) founded in 1996 to end a government imposed embargo on the truth behind extraterrestrial related phenomena. He has spoken to audiences around the world about the implications of formal “Disclosure” by world governments of an extraterrestrial presence engaging the human race and given over 1000 radio and television interviews". Bassett, who hopes to produce a UFO documentary, reminds us that Tom deLonge has accomplished much. For someone who has largely spurned formal education, DeLonge has accomplished much through sheer determination: his great success in the highly competitive world of rock music, his success in organizing his businesses including To The Stars, his success in getting these accomplished individuals to join him in his UFO-related venture, etc. Bassett has a good point here - DeLonge is no slouch. Bassett said that he does not accept the claim that the "bone UFO" shown in the TTS announcement video during Chris Mellon's talk is in fact a mylar balloon. No mylar balloon could possibly manoeuvre like that, he insisted! I think that Bassett is very confused about this - the "bone UFO" has nothing to do with any of DeLonge's videos. Next, the irascible Dr. Bill Birnes, formerly of the cable TV show UFO Hunters, strutted out to speak without Powerpoint slides or other AV assistance. His talk was titled "UFOs and the White House: What did our presidents know and when did they know it?" But it was not the usual collection of supposed Presidential UFO sightings. Instead, it was a history of alleged paranormal and extraterrestrial events throughout American history. George Washington allegedly received a mysterious celestial visitor while at Valley Forge. A UFO allegedly hovered over Theodore Roosevelt's house. Eisenhower met with aliens. And so forth. And of course, President Truman directed the reverse-engineering of alien technology recovered from the Roswell crash, and so Bell Labs' patent on the transistor was derived from Roswell. (Remember that Birnes was the co-author with the late Philip J. Corso of The Day After Roswell., which started the whole "reverse engineering" nonsense). Travis Walton, Chuck Ellison, and Don Walton. (Fountain Hills Times photo). the Arizona logger whose 1975 encounter with a UFO was made into the Paramount movie, “FIRE IN THE SKY”. Ignoring the warnings of his fellow crewmen, Walton approached the craft and was struck by a blast of energy from it and taken aboard. The crew were suspected of murdering Walton and making up a wild story to cover up for the deed until Arizona State Police lie detector tests cleared them." In this panel, Travis will be accompanied by Chuck Ellison, the first police officer Travis’ fellow crewmen talked to when they could not find Travis after he disappeared, and Travis’ brother, Don. Chuck will share what it was like speaking to the young men the evening they lost their fellow logger, and his reaction to the wild tale they told. He will also share the details of the investigation to find Travis from the perspective of the local police. Don will share the impact the event had on his family. Once news got out of Travis’ disappearance and the wild UFO story his fellow crewmen told, the media ascended on Travis’ family. "Quite literally, the townspeople put us through hell," Don Walton said of his family's experiences as they stayed in the sleepy town of Snowflake. "We were shunned, we were taunted, teased, called liars." And Ellison noted that some people back in Snowflake were saying, "This is a hoax, I know Travis." I don't remember Travis Walton ever acknowledging any such thing. And it makes me wonder: what did those people know about Travis Walton that we don't? Travis has been quoted as saying that ‘Aliens accidentally killed me but took my corpse onto UFO to save my life' (admittedly not a very reliable source - Jon Austin writing in a British tabloid). Travis clarified this claim while on the panel. Describing the alleged burst of energy from the UFO that supposedly "zapped" him, he said, "This blast of energy scrambled my neurons... I think I was mortally wounded. They resumed medical intervention, which saved my life." So the alien blast almost killed him - it was accidental, not deliberate - and the aliens took him on board the UFO to save his life. Next came the interview that everyone was waiting to hear - Luis Elizondo, who formerly headed up the Pentagon's secret UFO investigations and now works on To The Stars with Tom DeLonge. Elizondo was originally scheduled to appear in person at the Congress, but because of surgeries he appeared in a video presentation. That video has now been released, and is embedded below. In it, he replies to questions that were put to him by the organizers of the Congress. This is the interview of Elizondo shown at the UFO Congress. Elizondo said that with the Pentagon AATIP program, "we got very clever" in managing our resources after funding was cut off. "Duel use" is the relevant phrase. 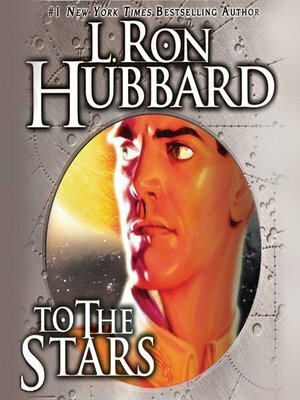 He said that he had purposely steered away from reading UFO books, so as not to prejudice himself on the subject. (Thus he is unfamiliar with UFO history, with its long history of misperceptions, hoaxes, and self-delusions.) As for the statement in the New York Times article that the supposed UFO artifacts contain unknown "alloys," that is not correct, he explained. But they do (allegedly) contain anomalous isotope ratios (a claim we have heard before regarding other supposed alien samples). What I thought was most interesting, he said his job is "Director of Security" at To The Stars Academy, protecting persons and things. So his background (such as it is) in managing UFO investigations is not directly relevant to his job. He is, in essence, their Bouncer. 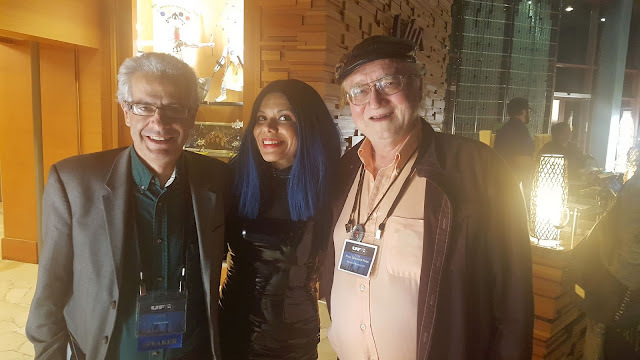 Yours truly with Nick Pope and Leda Belouche of GirlieVegan.com. The last speaker of the session was Nick Pope. "Nick will be sharing his thoughts and insight into the recently unveiled Department of Defense Advanced Aerospace Threat Identification Program. Although Nick has not been involved with the DoD’s program, his unique experience allows him to give an informed overview of the program from the perspective of someone who ran a similar program in the UK." He noted that, within government there are believer factions and skeptic factions, and I think this is quite correct. We have seen these "believer factions" before, with the CIA people involved in NICAP, with the Pentagon "remove viewing" programs, and the Men Who Stare at Goats. Pope suggested the possibility that there could be more secret government UFO investigations that we haven't discovered yet. Maybe? At the banquet, the Lifetime Achievement award was given to Ann Druffel, whose work was described by her daughter in the previous posting. Her daughter Allis picked up the award for her. At the banquet, UFO Congress organizer Alejandro Rojas announced some big changes, including a change in ownership. 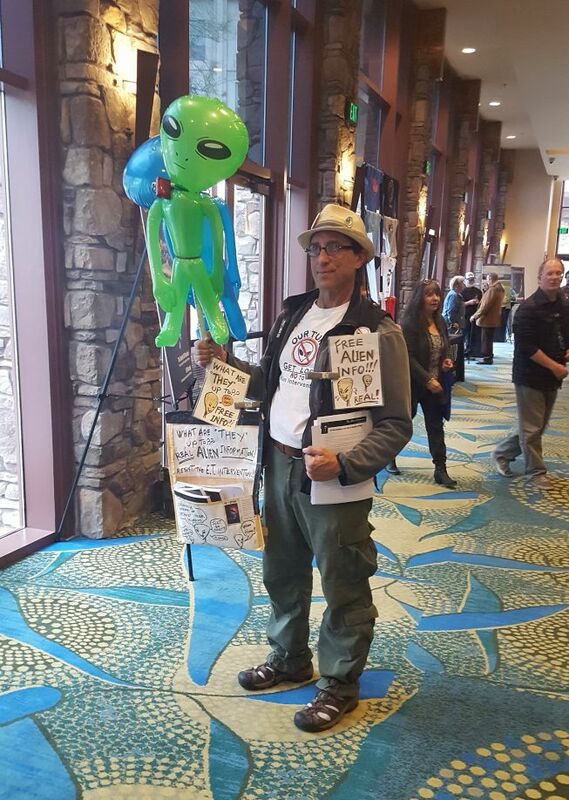 The UFO Congress is no longer operated by Open Minds, but by Out Of This World Media and Events, Inc. Next year's UFO Congress will be in September, and it will not be at Ft. McDowell. Instead it will he held on Sept. 4-8, 2019 at the Sheraton Grand Phoenix, a large conference hotel in downtown Phoenix. This will result in a far better availability of rooms, allowing the UFO Congress to grow even larger. It will be beastly hot in Phoenix in September, but (unlike the Contact in the Desert conference) it will all be indoors. No reason to go outside at all! I did not attend the final day of the Congress on Sunday, as there were only two talks and a panel, so I got an early start home. The first speaker on Friday was Allis Druffel, daughter of the longtime UFOlogist Ann Druffel, who at age 91 was not able to make it in to the Congress. I was surprised when I learned that Allis would be a speaker, because I was unaware that she was active in UFOlogy. I first met Allis, who now holds a Master of Vocal Performance degree from the University of Maryland, College Park, when we did a show together in San Jose in 1996. It was Gilbert and Sullivan's Utopia, Limited; she was the Princess of Utopia, while I was Sir Bailey Barre, a slippery British Barrister character. Allis talked about some of the famous cases for which her mother was the primary investigator. The Tijunga Canyon Contacts. The classic Rex Heflin photo, which Project Blue Book concluded was a "hoax." She emphasized the "smoke ring" supposedly procuced by the UFO in Heflin's final photo, although similar smoke rings have been photographed in many places, produced by fireworks, cannons, and chimneys. She talked a lot about her mother's book Firestorm, about the life and tragic death of the controversial UFOlogist, Dr. James E. McDonald. She also told of her mother's investigations of the Rev. Harrison E. Bailey of Pasadena, who claims that two aliens entered his home, hiding behind Halloween masks. He produced a silly photo of a supposed alien in a Halloween mask, hiding behind a chair, but Ann Druffel found it credible. I replicated the Reverend's photo quite convincingly using a Halloween mask and pantyhose draped on a chair, and sent it to Ann Druffel. I told her that the aliens had visited me, too. She didn't reply. 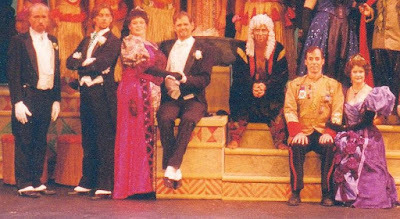 Cropped cast photo of the 1996 production of Gilbert and Sullivan's Utopia Limited, in San Jose. Allis is seated at right, wearing her crown. I am standing at left. Afterward I had a chance to talk with Allis, who remembered me and, of course, our production. I told her that when I first heard that her mother was writing a biography of Dr. McDonald, I was somewhat concerned, because many people were making irresponsible statements about Philip J. Klass 'driving poor Dr. McDonald to suicide.' Now it is true that Klass and McDonald were adversaries, with Klass scrutinizing McDonald's expenditures on has government contracts, that sometimes veered a bit into unauthorized UFO investigations. But Ann Druffel makes it clear that neither Klass nor any other UFOlogist had anything to do with McDonald's tragic suicide, which was triggered by his wife leaving him, a strain that McDonald simply could not bear. In fact, Druffel (who did interview Klass) tells some of the same anecdotes relating to Klass and McDonald that Klass himself told me, and to my best recollection she tells the story quite the same as he did. I told Allis I can recommend Firestorm very highly as (so far as I can tell) an accurate history of a very significant chapter of the history of UFOlogy. By the way, McDonald's papers are now available in the archives of the University of Arizona, for dedicated historical researchers. Nancy de Tertre bills herself as "the Skeptical Psychic," which is an interesting oxymoron. But what she said in her talk, titled "Remote Viewing the Extraterrestrials," was anything but skeptical. She talked about the history of Remote Viewing (Uri Geller, etc. ), and the different kinds of RV - CRV, ARV, ERV, etc. before getting to her own version, TSP, "tested" ESP and clairvoyance. Is this what was Remote Viewed on Mars? Most RV work does not involve aliens, she said, but some has. Joe McMoneagle was tasked with Remote Viewing Mars in the year one million B.C. ; he saw aliens, and a civilization in ruins. Remote Viewer Pat Price found four secret UFO bases on earth, including Mt. Hayes in Alaska. Daz Smith remote viewed the Roswell Crash (many years later, since time doesn't matter to Remote Viewers), and saw two aliens inside the craft, and two outside. She also disclosed that her new technique of TSP allows her to "bio hack" the mind of an alien, not merely to read that mind, but to actually be that alien. As in Being John Malkovich, I suppose. Next to speak was the famous (or infamous) perennial Roswell investigator, Donald Schmitt. The title of his talk was "Did J. Allen Hynek Know the Truth About UFOs? ", and by "the truth," Schmitt means "aliens." Synopsis: "As scientific consultant to the U.S. Air Force Project Blue Book, Dr. J. Allen Hynek maintained a top security clearance and secured access to the UFO case files not explained away by the military. Such accessibility should have afforded the astrophysicist with answers not disclosed to the general public due to the constraints of national security and Hynek served the project patriotically for nineteen years. For decades the UFO community has speculated as to what he truly knew about the phenomenon and did he share such knowledge with his compatriots within the scientific community – his “invisible college” as he assigned them. Or did he take the truth with him?" Schmitt said that Dr. Condon probably already knew "the truth" in 1947. When Hynek asked Donald Rumsfeld (former Congressman representing Evanston, Illinois, later Secretary of Defense, and a friend of Hynek), about UFOs, he was supposedly told "You have no right to know." Later when I spoke with Schmitt, we compared our recollections of Hynek, and came up much the same. I asked him about the Roswell Slides, and he sounded totally penitent and apologetic about them. He said he relied too much on the "experts," and said he wrote a full and complete apology for that fiasco. Next came a panel about "UFOs in the Entertainment Industry." Bryce Zabel suggested that Sagan, like probably Klass and Menzel, were members of the shadowy MJ-12 (assuming that such exists!). Somebody asked the panel, "Did anyone from the government ever try to influence your programming?" Bill Birnes claimed that the CIA had his TV series UFO Hunters shut down following its program exposing Area 51 (a claim he has made before). But Zabel had an interesting comment: he said that anytime a producer is working on a show with nonfiction content, somebody - perhaps a family member, or a colleague, or whoever - will try to influence the way the story is presented. The final speaker on Friday was Linda Moulton Howe, who spoke on "Military Whistleblower Revelations About UFOs and An Alien Presence." She spoke about the dangers of Artificial Intelligence and "autonomous weapons," especially since 29 humans were (allegedly) killed by out-of-control robots in a robotics factory in Japan. UFO abductees, she said, get neural implants from the aliens, causing some of them to feel that their consciousness is being "uploaded." The aliens, who she calls "EBEs," or "EBENS," operate under a completely different system of natural laws, and travel at many times the speed of light. They are "hive minded" and telepathic. The Blonde aliens are the worst, especially the Swedes (apparently there exists a Sweden on some other planet?). She talked about the SERPO incident (a supposed personnel exchange between earthlings and aliens), HEPALOIDS, and the TRANTALOIDS, who can turn into Blondes, but are actually ugly insects. The dinosaurs were an 80-million year experiment by EBENS. As in previous years, a skywatch was scheduled in the evening, led by Ben Hansen using expensive infrared equipment (that he just happens to have for sale). However, the sky was cloudy and nothing much was to be seen, so after a while I went back inside, where the film festival was underway. I believe they were showing the second film when I walked in, Not Alone by Scott Deschaine. It was mostly videos of the little fluffs of ice and debris that get knocked around during manned space missions, especially when thrusters fire. He was interpreting them as UFOs that "resemble living things." I was entertained to see comments by that far-out astrophysicist Rudy Schild, Emeritus Professor at the Harvard/Smithsonian Center for Astrophysics at Harvard University, concerning Edgar Mitchell's unauthorized ESP experiments while coming back from the moon on Apollo 14. Supposedly, according to Schild, it should take four seconds for light (or ESP) to travel to the moon, but Mitchell and his communicator shared ESP results in approximately one second. Therefore, ESP seems to travel faster than light. And I thought to myself, this is very interesting. Here we have an astrophysicist who does not seem to know the speed of light. Or else, an astrophysicist who has no idea of the distance to the moon. At the moon's average distance from earth of about 239,000 miles, it takes light approximately 1.3 seconds to travel from earth to the moon. The first speaker on Thursday morning was Dean Alioto, film director and writer. According to his bio, he is the creator of "the mysterious and enigmatic UPN TV special Alien Abduction: Incident in Lake County (aka The McPherson Tape). For two decades, Alioto’s TV special has generated conspiracies worldwide and has been studied by top experts in the field of UFOs and alien abductions. At this year’s convention, Alioto will speak publicly for the first time ever about the TV special and the incredible strange story behind it. In addition, Alioto will talk about the original video that the controversial TV special was based on. Known simply as, UFO Abduction, this video brought the house down at the 1993 International UFO Congress Convention with it’s shocking footage of a family being abducted by aliens." In brief: In 1989 Alioto made a short film about a family facing a home invasion by aliens. It was never formally released, but a copy was discovered by credulous UFO believers and shown around, including at the 1993 UFO Congress. In the film the family barricades itself against the aliens, and fires shotguns at them. It ends up as "found footage." (Alioto claims to have invented the genre of "found footage," later so popular with the Blair Witch Project, etc. Probably he did.) In 1998 this story was re-made as a higher-budget film, and shown on UPN TV as Alien Abduction: Incident In Lake County. That version of his film was shown in the evening as part of the Film Festival. At about 65 minutes long, I found it annoying and tedious with its shaky camera and chaotic, arguing actors. "Bring on the aliens! ", I kept thinking. Finally we see them at the very end. Next was Alan Holt, who "recently retired from NASA after 50+ years of service, which included supporting the Apollo lunar missions, Skylab, Space Shuttle, Spacelab and the International Space Station. Mr. Holt has been actively involved in research related to encounters with unidentified aerial phenomena and in metaphysical studies for the past 49 years. He has a B.S. in Physics, Iowa State University (1967) and a M.S. in Physical Sciences (astrophysics), University of Houston/CLC (1979)." His talk was titled "'Visitors' and Humanity’s Future as an Interstellar Species." He talked about Insectoids, Reptilians, Humanoids, and their telepathic interactions with human consciousness. He had written a technical paper about using a "Field Resonance" propulsion system to push a spacecraft into hyperspace. However, he admitted that "I didn't have all of the mathematics worked out." Holt said that his interest in UFOs was sparked by reading Adamski's Flying Saucers Have Landed. I had the same thought as I did after listening to Keller's talk the previous day: how can someone who has studied physics and has even worked in the space program, believe unsupported claims about supposed alien spacecraft that run counter to everything we know about physics? By the miracle of "mental compartmentalization," I suppose. This man, Justin Kohn, has all the answers. He was passing out a sheet from a group called Allies of Humanity, which has "an Urgent Message About the Extraterrestrial Presence in the World Today." Something about Good Guy aliens and Bad Guy aliens. Okay. Next was a very interesting talk (and one of the few talks that was truly worthwhile) by Susan J. Palmer, a sociologist of religion, on "When Contactees found “Cults”…The Case of Raël and Prophets of UFO Religions." Synopsis: "In 1974 Claude Vorilhon, French race car driver and journalist, published a book describing his CEIII during a stroll in a volcanic crater. His 1975 book, They Took Me to Their Planet, recounts traveling to the planet of the Elohim. By 1976, Vorilhon was “Raël,” the “Last and Fastest” Prophet of the International Raelian Movement, today the largest UFO religion in the world." 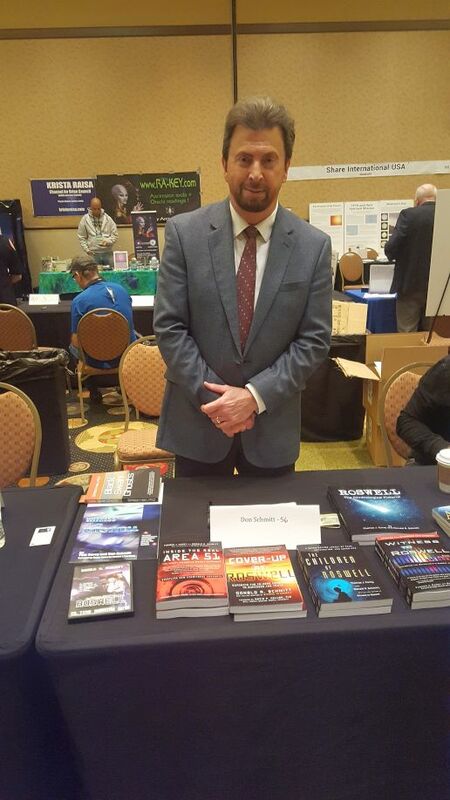 Robbie Graham is an author who is trying to "reframe the debate" on UFOs - hence the title of his book, an anthology of different ways of looking at the UFO phenomenon. He spoke on "Searching for Truth in All the Wrong Places." 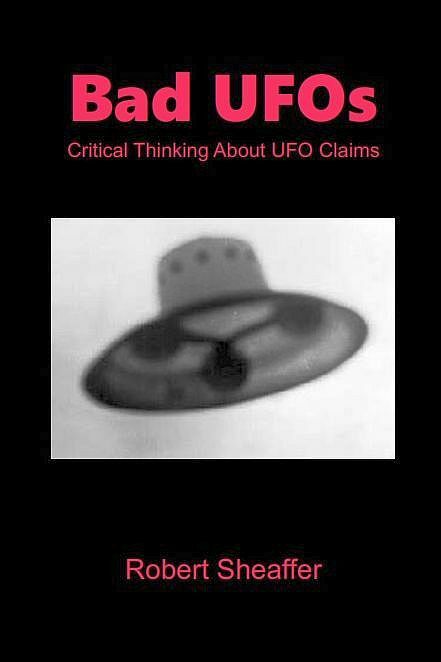 Synopsis: "A deeply personal presentation exploring the lure of the UFO, how our beliefs can be exploited, and how we might more usefully seek to unravel the UFO mystery beyond simplistic notions of government Disclosure." Graham talked about society evolving into a "hyperreality," when images and reality seem to merge into one. He thinks that there is an E.T. component to the UFO phenomenon, but that it goes far beyond that. As for the current frenzy over the Pentagon UFO program, he calls that "the DeLonge Delusion," and suggested that DeLonge is part of a Pentagon deception. During the Q&A session Stephen Bassett - a "Disclosure" activist with the Paradigm Research Group and also a speaker at the Congress - told Graham, I would like to debate you about every statement you made. Later when I had a chance to speak with Graham, who seems like a very nice fellow, I told him my explanation for why all UFO theorists seem to be at a loss to come up with a comprehensive explanation for the phenomenon: they are attempting to find patterns in what is fundamentally just noise. There was a panel about "Science and the Future of UFO Research." T.L. Keller talked about human-made saucers that use anti-gravity propulsion. Bob Gross told an implausible tale about NASA secretly trying to recruit Navajo astronauts. The reason was, when these astronauts go to the moon and Mars they will encounter other beings there, and the Native Americans will be able to 'think differently' about that. So, once again I am attending this year's International UFO Congress in Fountain Hills, Arizona, near Phoenix, sometimes billed as the world's largest UFO conference (although Contact in the Desert seems to have overtaken it). I won't necessarily discuss every speaker, or every movie shown, just the more interesting ones. The first speaker on Wednesday, the first day, was T. L. Keller, who worked as a computer systems analyst at NASA’s Jet Propulsion Laboratory (JPL) in Pasadena, California. His talk was titled Spacecraft Carriers – Extraterrestrial or Terrestrial? Assuming, of course, that Spacecraft Carriers (like Aircraft Carriers, but much larger) actually exist. His "research" is based on such credible sources as George Adamski, Michael Salla of Exopolitics, Bill Tompkins, Steven Greer, and Felix Dzherzinsky. (Keller said that he had reservations about Adamski's claims of UFO contact, but British author Timothy Good assured him that Adamski's stories are substantially true.) After all, the UFO that abducted Travis Walton was itself a "spacecraft carrier," by his own account. Keller showed a number of blurry and dubious photos, in addition to Adamski's photos, and the Petit-Rechain hoax photo from Belgium. His hypothesis: Both E.T. and human Spacecraft Carriers exist, using anti-gravity technology. There are human bases on the moon, and on Mars. The next speaker was MUFON's Cheryl Costa, who started out with an informal presentation of dubious and mostly blurry UFO photos. As for shapes of UFOs, she showed that there are dozens of them. Statistics have shown that the number of UFO reports in recent years has been going up, up, and up. She presented statistics broken down by states and counties. It appears that leisure time and temperate weather correlate with a greater number of UFO sightings (which should not come as a surprise). One result of her statistical analysis is that UFOs are not hanging out around nuclear reactors. Cheryl said that she talks regularly with Ralph Blumenthal (co-author with Leslie Kean of the New York Times story about "Glowing auras" and the Pentagon UFO business), who promises that there is much more info coming. Dr. Bob Gross spoke next. His main claim is that the Kecksburg "crashed UFO" was supposedly an errant film canister from a just-launched Corona spy satellite. It supposedly was maneuvring all around changing direction, and dropped hot debris that started grass fires. He heavily relies on Ventre and Eichler (2015), who had a similar wacked-out theory about an errant missile launch. Unfortunately for Gross, the once top-secret Corona project files, declassified and released after about 30 years, completely contradict all of his claims. Both of the film buckets were recovered in the Pacific Ocean two days later (and not in a forest in Pennsylvania). But Gross has a ready answer for this: the files were all faked. And of course, no way would the film bucket have sufficient propulsion to enable it fly thousands of miles off-course, and zig-zag all about. The zig-zagging is deduced from eyewitness accounts, which Gross calls "direct evidence." Gross, a relative newcomer to UFOology, has a lot to learn about "reliable witness testimony"! He says that a "nuclear experiment" was on board, and implies that it was radioactive and dangerous. He already knows that's not true, because we went over this argument a few months earlier. The experiment was a "nuclear emulsion," which is not itself radioactive. It is just a film plate sent up to try to capture cosmic ray strike images. He also claimed that the earth had an artificial radiation belt created by nuclear testing, which would come as a surprise to most space scientists. Hollywood writer and producer Bryce Zabel, who spoke to the UFO Congress in 2012, spoke about "Fear and Loathing on the Trail of the Saucers." It was his personal account of 25 years of making many UFO and alien themed programs for movies and TV, including Dark Skies on NBC (1996). His main "bombshell," such as it was, was to reveal the name of the government official who reportedly confessed to working in an a secret underground lab near Washington, DC where aliens are kept. This confession was revealed 30 years ago to Zabel's colleague and partner Brent Friedman, and the name of the government official reportedly was - ta da - John S. Herrington, former Secretary of Energy in Ronald Reagan's second term. Apparently Mr. Herrington is still living, although I was not able to find an email address to contact him for his version of the story. Perhaps some enterprising researcher will be able to contact him to confirm or deny this.